It is our mission to offer quality service and being dedicated to helping uncover our client's fitness potential.  Hunt for Strength was started 2012 as a way to offer a different kind of personal and group class experience. Our strength and conditioning programs as well as personal training services are tailored to help everyone reach his or her goals. We are different from our competitors because the majority of our programs are designed for individual goals and not cookie-cutter programming. While most facilities post general workouts on the board for everyone to follow, Hunt for Strength realizes that everyone has different wants and needs, and their program should reflect that. Our programs have been featured in Men's Health, Muscle and Fitness, Food Network, and Ironman Magazine.